The first Monday in the month from March to November is the time for the KCPS Development Session. This first one is aimed at assisting Novices and Intermediates, but Advanced Grade members are also most welcome to attend. It’s a chance to meet up with other members in a more informal setting. The focus (hehe) for tonight is on the basics of using your camera – so please bring your camera along. Teresa Angell showing her photo book. 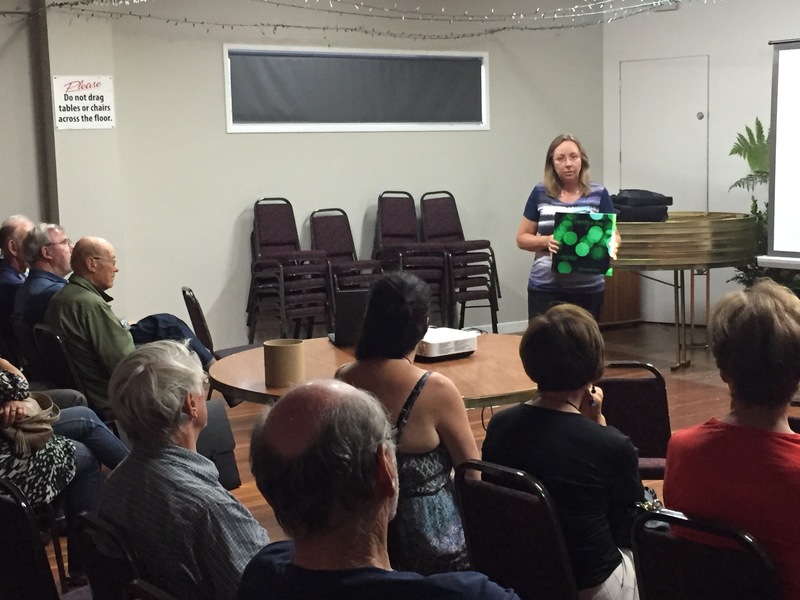 We had another good turnout of more than 30 people for last Monday’s meeting. We heard from Teresa Angell and Hugh Scott. (Unfortunately Michael Martin wasn’t able to make it.) Teresa’s talk on her journey in photography was fascinating. Hugh’s interesting presentation was oriented to his use of spot colour in imagery – today’s software and digital techniques has made that a lot easier than the old darkroom days. Don’t forget that entries for the first Salon for the year are due by 9 March. Online entries close at 5 pm. Bring any prints (along with a printout of your entry form) along to the meeting that night. Please note that the Committee has decided to change the format this year, so that the first three salons will include set themes as well as open images. The updated rules for the 2015 competition can be downloaded here. For the Summer Salon, you can enter one open digital image, and one on the theme of “Let’s Make Music“. For prints, you can enter one open print and one on the theme of “Intimate Moments“. These themes correspond to two of the topics for the Wellington Interclub print battle later in the year.